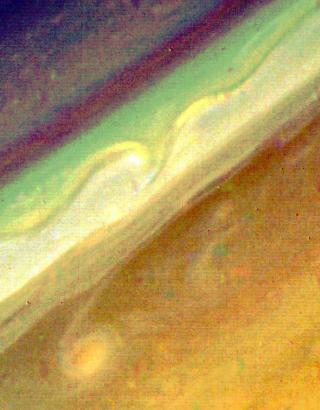 In this Voyager 2 false-color photograph, obtained Aug. 20 from a distance of 6.4 million kilometers (4 million miles), north is to the upper left. 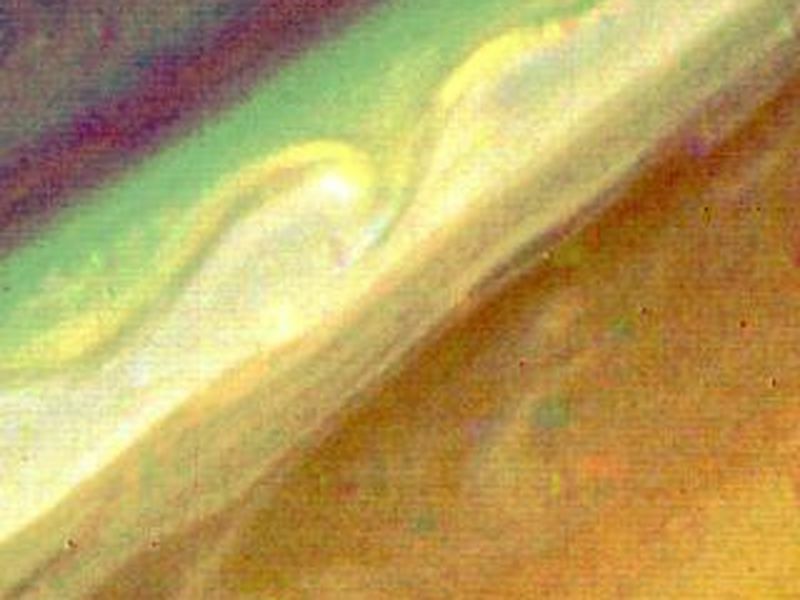 This view of the northern edge of Saturn's North Temperate Belt, the brownish region in the lower right of the image, was made from frames taken through violet, blue and green filters. 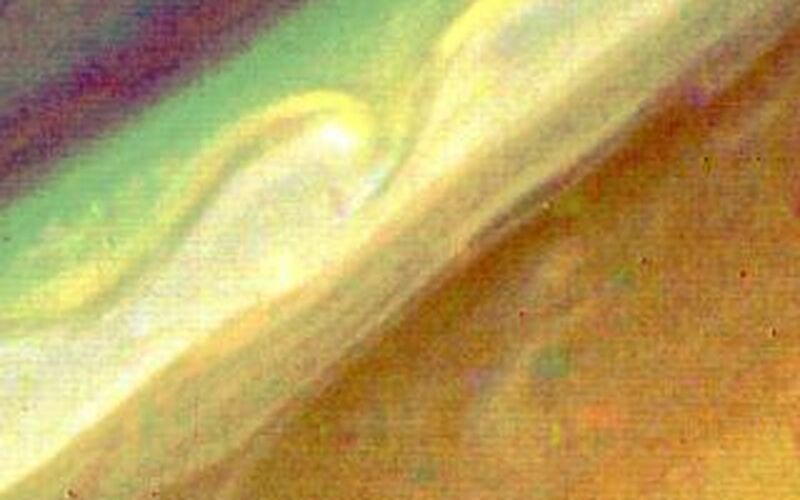 The bright disturbance in the lower left has been coiled into a figure "6" by the wind shear in the planet's atmosphere; this same feature was seen in an earlier release (P-23912, S-2-9). To the south of it, winds blow westward at 20 meters-per-second (45 mph). Within the white zone to the north, wind speeds are in excess of 130 meters-per-second (290 mph) to the east. 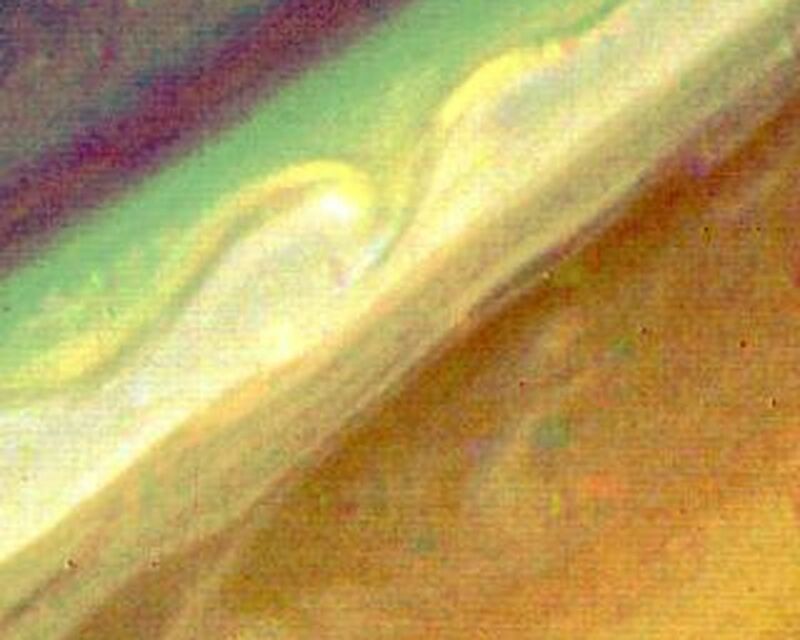 Wavelike structures can be seen along the ribbon feature that roughly follows the core of this strong eastward-flowing jet. The smallest observable features in this image are about 120 km. (75 mi.) across. The Voyager project is managed for NASA by the Jet Propulsion Laboratory, Pasadena, Calif.